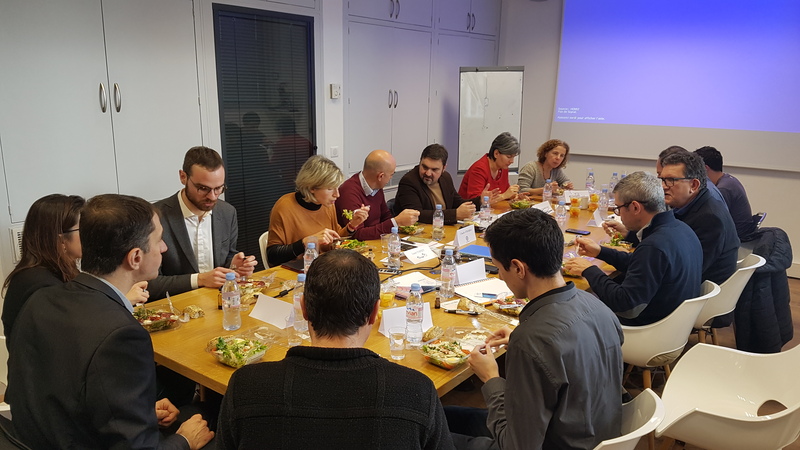 On February, 6th 2019, the project Extra&Co, ISIFoR Carnot institute and the competitiveness cluster POLE AVENIA organized at “Hélioparc” (Pau Technopole) the second «THINK OUT OF THE LUNCH BOX», in partnership with the CITEPH-EVOLEN. Animated by Wilfrid Merlin, Director of the “Open Innovation” programme of CITEPH-EVOLEN since the beginning of 2019, the thematic lunch gathered some fifteen people (start-up, small, medium and intermediate-sized businesses, majors and institutional structures from the Greater South West of France and/or from the world of energies) around R&D private fundings of the aforementioned programme. This second edition has been especially appreciated by the attendees, who discovered this sponsor-supported programme of research private funding, dedicated to French companies, in order to both develop their projects and roll a collaborative work, offer a better efficiency of the project set-up, give an easier and faster access to advanced technologies and assist innovative entities.